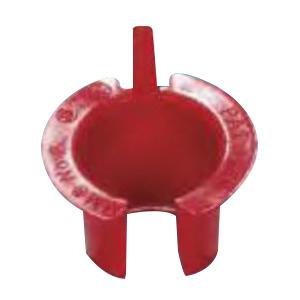 Sepco Anti-short bushing features durable plastic construction. It measures 0.57-Inch x 0.64-Inch. Anti-short bushing of trade size 5/16-Inch, accepts armored cable of size 14 - 2-AWG, 14 - 3-AWG and 12 - 2-AWG. It features high-dielectric strength and ensures complete insulation on all sharp edges. Insert this anti-short bushing into inside diameter of each termination point to protect the conductors from the sharp edges of the raceway. It is suitable for use in the terminations of flexible metal conduit and armored cables.